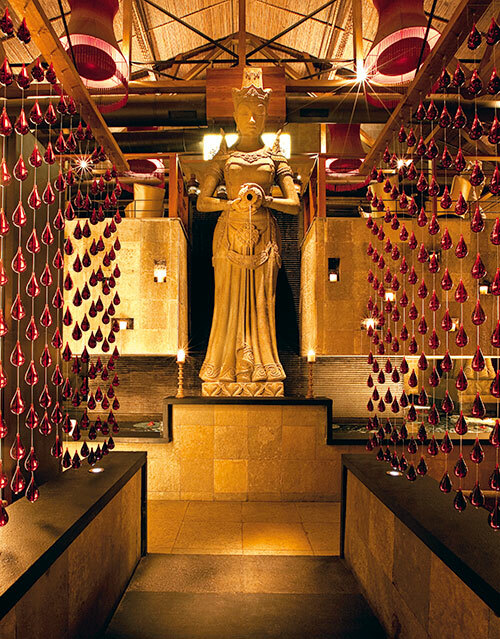 High ceilings and larger-than-life Buddha statues welcome you as soon as you enter through the magnificent wooden doors into the dimly-lit Shiro Restobar and Lounge, in Mumbai. It takes just a moment to realise that everything about this Zen-inspired place is dramatic and soaring. Shiro, which means ‘castle’ in Japanese, is unmistakably inspired by the theme, cuisine and architecture of the Land of the Rising Sun. Raw smoky interiors gently fuse with the soft furnishings in a colour palette ranging from rust to caramel to rose. Rendered in a unique combination of natural stone, wood, slate, leather, bamboo and velvet, the interior is complemented delightfully by shimmering lotus pools, plush furniture and subtle lighting. The bar-level seating in the heart of the club allows space, to dance to the groovy music through the night while the teppanyaki table on the mezzanine level allows you to enjoy a cosy meal with your chosen one. The sumptuous menu with a variety of sushi, sashimi, Cantonese dim sums and an array of Korean, Vietnamese and Thai cuisines is bound to tempt even the most discerning of palates. And for the poison lovers, Shiro’s well-furbished bar and signature cocktails blend perfectly with the hip western music tunes to make it a night one will remember for months. A special feature that struck me at Shiro was the fact that great attention had been paid to ensure that each area retained its own mood or vibe with requisite differences in decibel levels. While the high energy show bar reverberates with customised music, the lounge and dining areas remain super cosy and comfortable. And that is what makes it a must for social animals this party season! Mumbai, the city that never sleeps does that for a reason. And lately that reason encompasses infinite energy spread across 4,000 square feet at the most sought after venue for high-end parties – Trilogy. 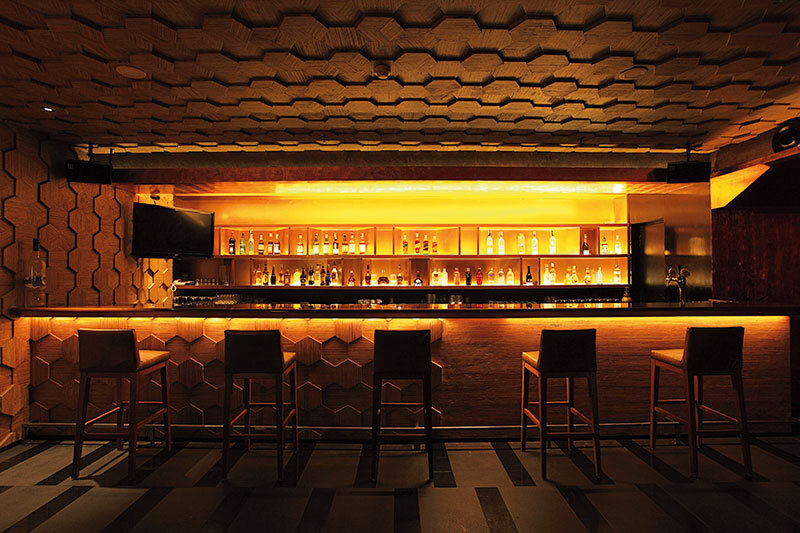 Redefining the commercial capital’s nightlife with a vengeance, this suburban hotspot is juxtaposed between bustling city lights and the serene Juhu Sea Face, at Hotel Sea Princess and aims to unite every individual’s three energies into one dynamic force. You are meant to feel like a social diva even before you enter. A red carpet guides you to the elevator and the vastness of the lounge instinctively embraces you and draws attention to the plush bronze leather bed overlooking the endless sea. The gold textured walls and ruby red composite marble with sparkle finish flooring add a dash of style while four-feet-tall martini glasses echo with the subtle sounds of plushness. 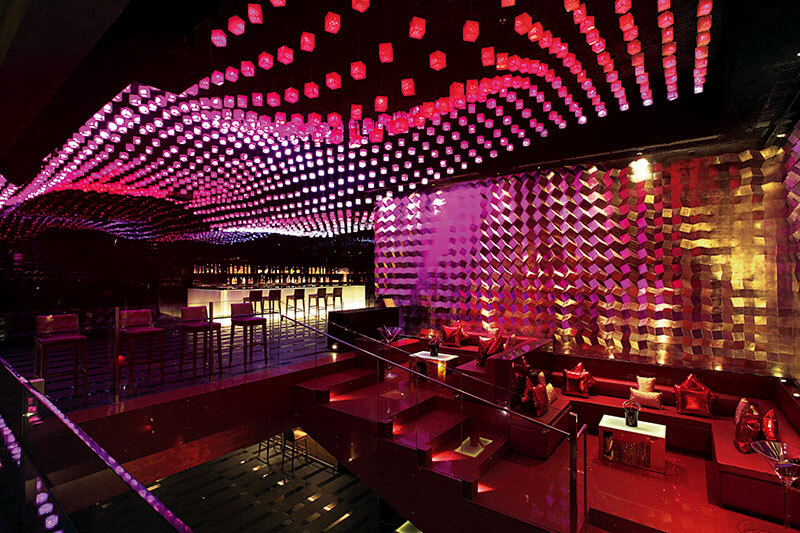 Even as LED pixel-cubes of crazy lights on the ceiling create the perfect ambience, the finest DJs in town play the hottest numbers to keep the crowd on the dance floor until the wee hours of the morning. 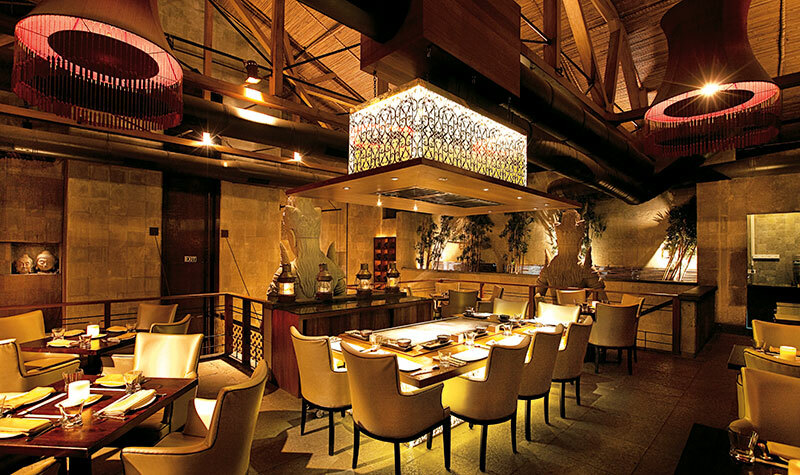 As for replenishment, exquisite dim sums, delicate sushi and succulent chicken preparations, along with a wide array of spirits and cocktails – including their famous watermelon and basil martini – keeps you going through the night. Uber luxury is the obvious theme as the Taj Palace Hotel, New Delhi throws open the gates of its newly launched lounge and bar – Blue Bar. An ideal mélange of ingenuity, panache and opulence, the bar offers an experience that is sensuous and provocative coupled with immaculate attention paid to the guest’s every whim and fancy. Located along the perimeter of the iconic hotel, facing the lush garden and pool, the bar’s al fresco dining area pampers those who want to simply laze around in the winter sun on their cosy sofas. The exclusive design elements have an accent of Bohemian art. Textures and colours are exceptionally edgy with stunning black carpets, shimmers and white curtains. With the city’s only outdoor foyer, the fountain outside looks like a water body flowing over curtains while from the outside you can enjoy the timber, al fresco deck greened with giant bonsai trees and large over-scaled seating with bespoke standing French baroque torches. For those who love their drinks, there is a wide array to choose from. 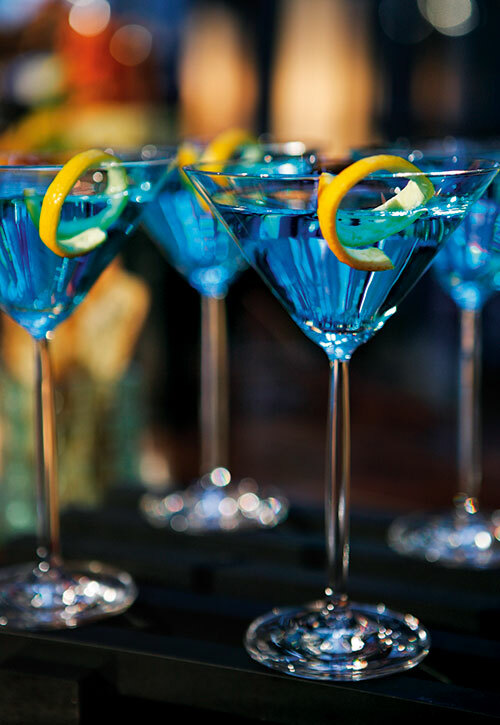 Sublime single malts to top-drawer tequila, stellar saketinis to zesty zinfandels, the Blue Bar stocks it all. As for the capital’s hot steppers who like to dance their blues away, the resident DJ at this swanky bar spins out some groovy tracks even as the intense LED lighting sets the party mood for the night, every night. 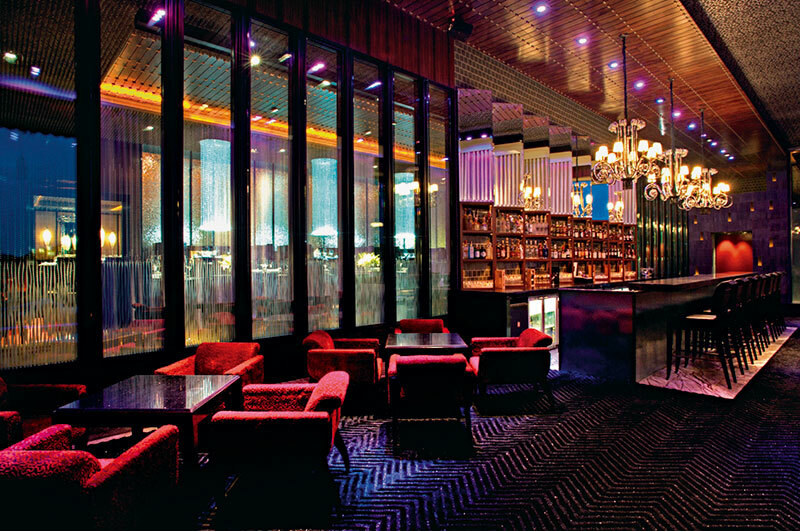 Drawing inspiration from Cuban and Latino cultures from where it also gets its name, Kue Bar in The Westin Pune is the swanky new club keeping party animals awake these days. To Passionately celebrate the joys of life, seems to be its clear mantra with a bold display of vivid colours across the ceilings and walls, with vibrant décor pieces creating an interesting kaleidoscope. A wall of Latino pop art depicting the high octane life of Cuba ushers one into a vibrant al fresco with high ceilings, while suspended crush glass cubical lights with changing hues exude exoticness. 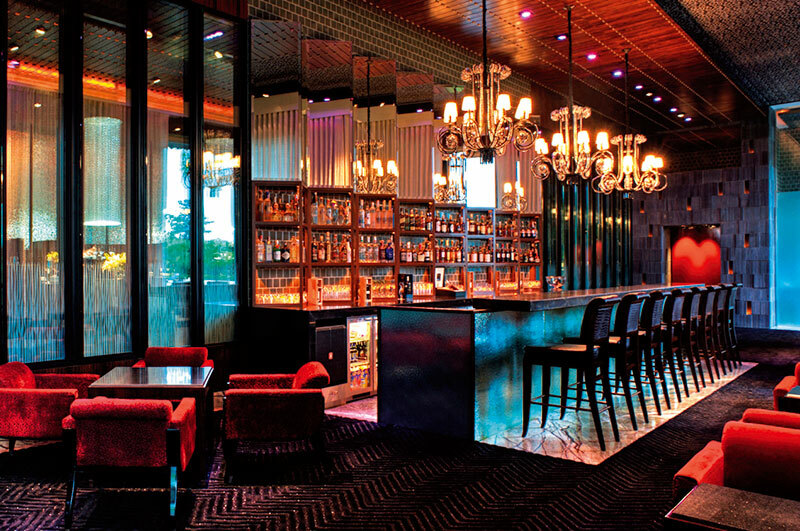 The 20-foot bar in the al fresco has luxe golden tinted mirrors which let kitchen chefs showcase their unique talents as they conjure up a latino culinary spell. The whole ambience becomes a live theatrical experience as you walk into the indoor nightclub complete with plush upholstery and round lounges. Bartenders tossing alcohol bottles and glasses in the air, playing with fire and concocting the most unusual cocktails are a regular sight. And while you are at it, their signature creations – Flying Vixen, Flaming Venom, Absinth Fountain, Venga Girls, Kuebano and Hemingway – are definitely worth a high. Unlimited pitchers and deep fried chicken wings are the staple start of a routine wild night-out. And if complemented with a round of blasting rock ‘n’ roll music and live band performances, the fun quotient of the night only travels a notch higher. 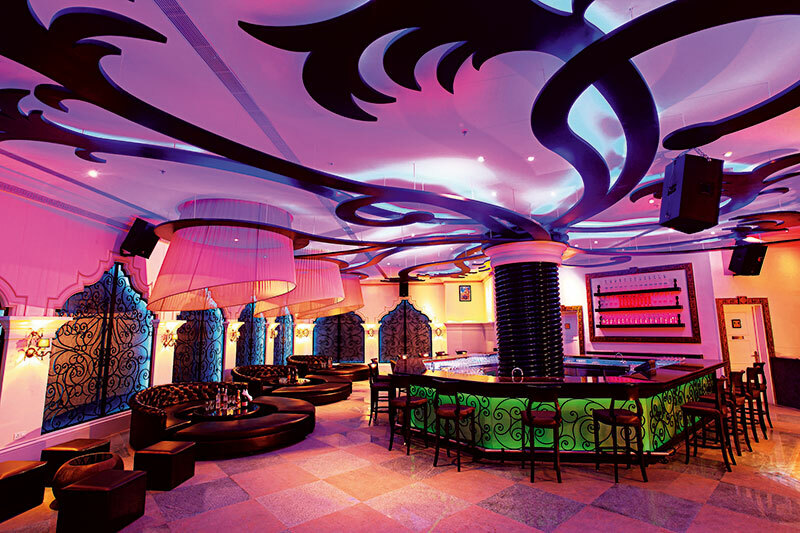 Hard Rock in Bengaluru is the perfect pit stop for a long night of revelry and merriment for night birds in the garden city. A premier dining and entertainment destination, the 9,000-square-foot café is known for its sumptuous American fare, overflowing pitchers and heady cocktails. 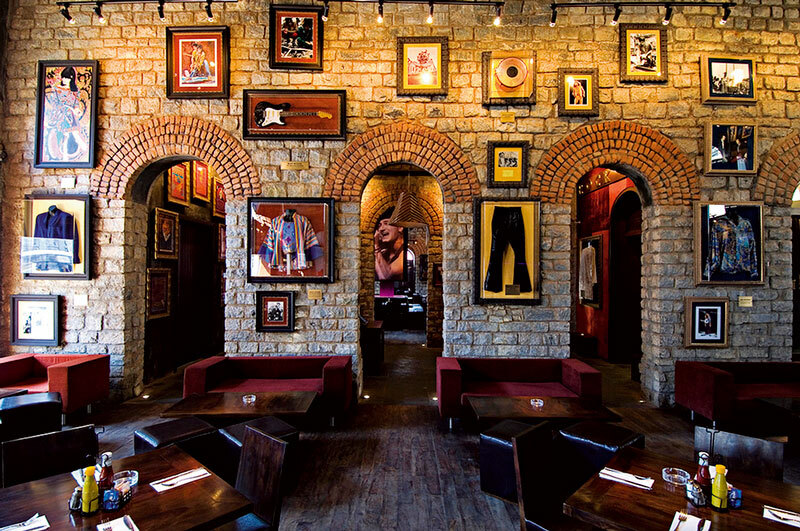 Much alike its other counterparts across the world, Hard Rock Café in Bengaluru consists of three distinct sections, including a 100-seat restaurant, a bar area with more than 120 seats and an open courtyard, as well as Hard Rock’s signature retail Rock Shop. 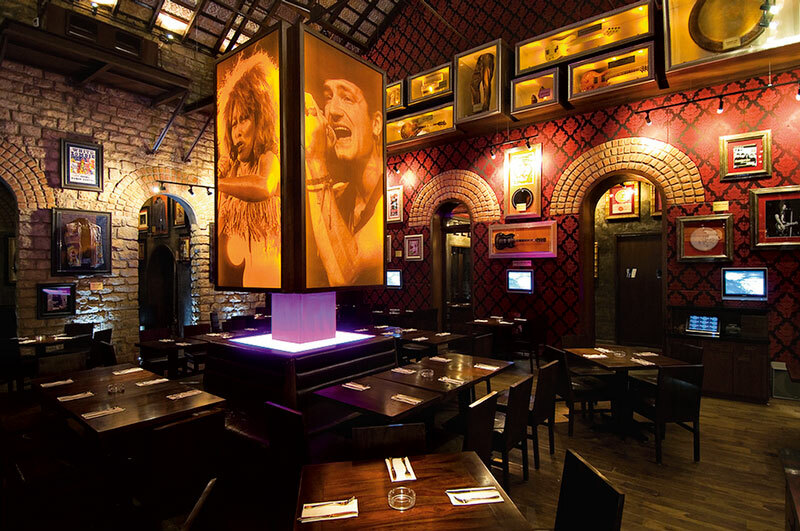 The state-of-the-art cafe is adorned with pieces from Hard Rock’s world-famous memorabilia collection, including items representing both contemporary stars and rock legends. Rocking stuff! Goa is the undisputed party heaven for those high on life. Praia de Luz at the Park Hyatt Goa Resort and Spa, lives up to this age-old Goan reputation with its plush interiors and swish offerings. 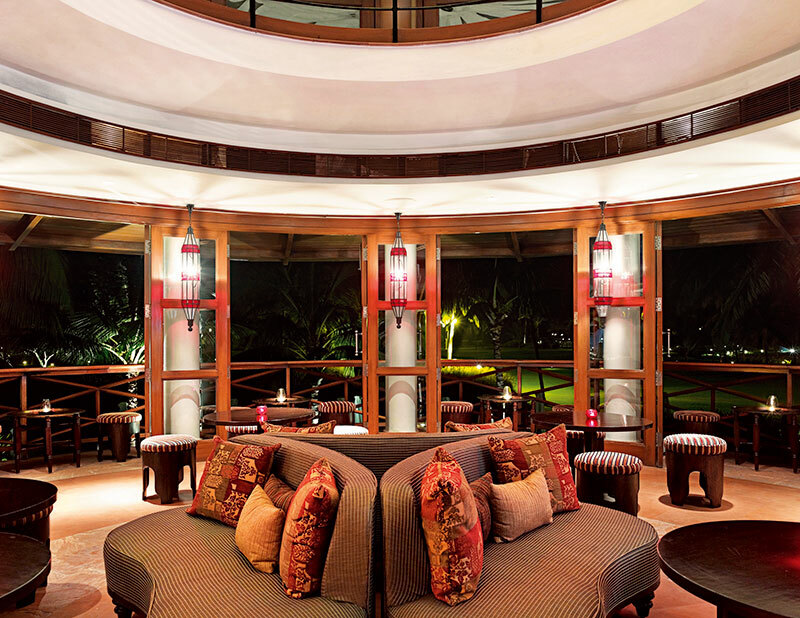 With a stunning view of the Arossim beach stretched out in front, the stellar lounge makes for the perfect place to admire the soothing sunset, nibble on canapés before dinner or simply meet friends over a glass of fine wine. Walk into the interiors to get an instant feel of luxury and space. The central round bar and the dramatic round staircase take centre stage as you enter, while the French folding doors give the entire space a sense of old-world charm set in a contemporary way. The well-stocked bar offers choice spirits, with a variety of wines from the New World to traditional all time favourites. 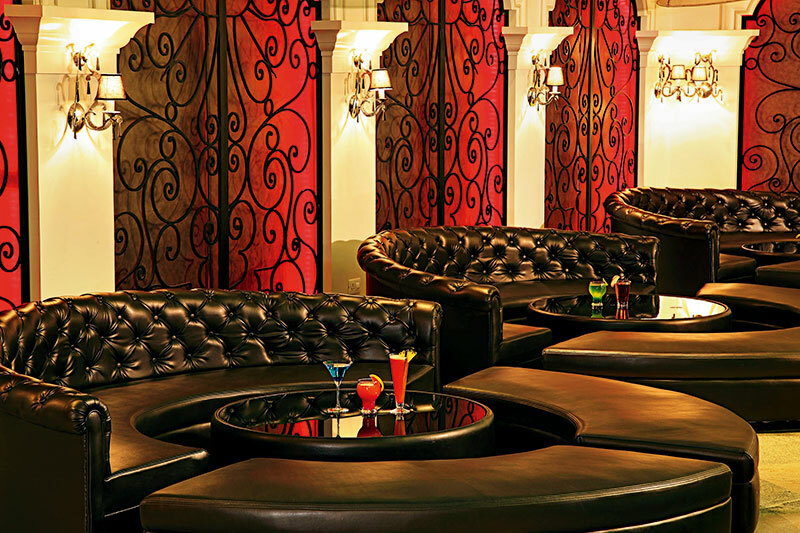 Smooth cognacs, stimulating whiskies and a large selection of innovative cocktails – including their signature lime and basil martini – are ostentatiously prepared as you watch in delight. 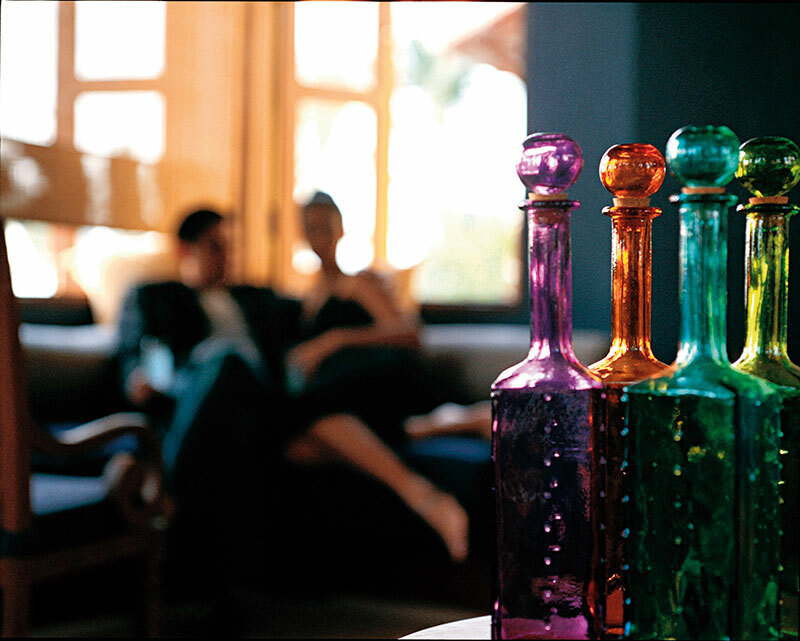 Rest assured there never is a dull moment at Praia de Luz as peppy music envelopes the space in the afternoon, and subtle calming compositions set the mood for a perfect Goan evening.